This is the best week for flowers in my garden, both native and not. I don’t know the name of these flowers (help anyone? 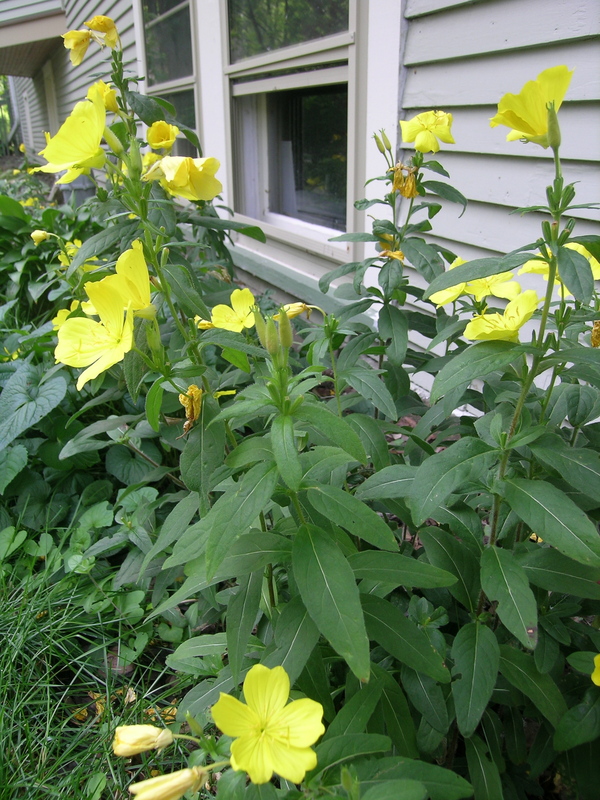 ), but I love the bright yellow flowers, and the plant stays and turns beautiful shades of red in the Fall for more color. 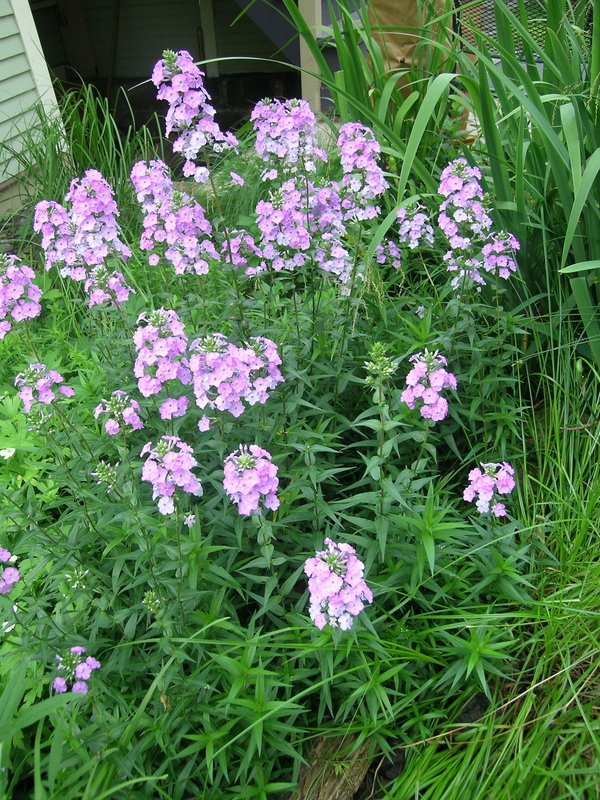 They also grow really well in shade, which I have an abundance of. 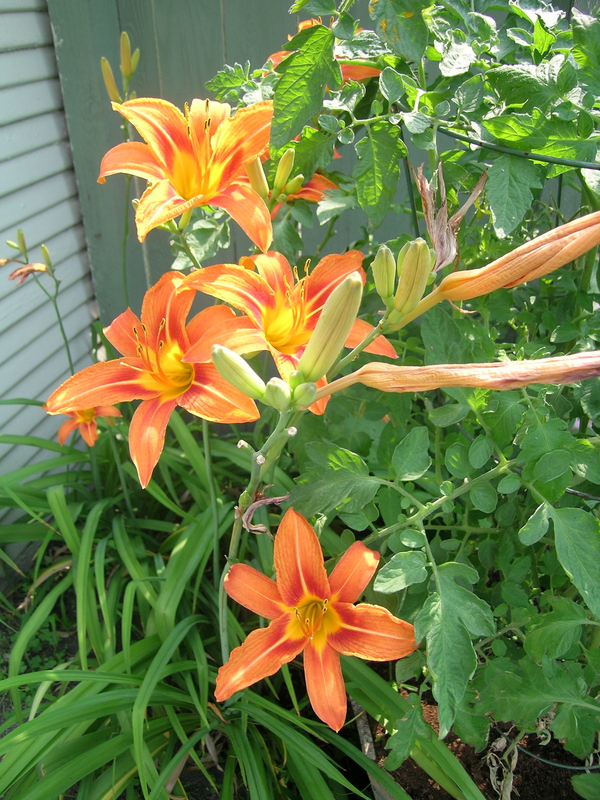 The lilies that Dan and I purchased at a Lily Festival many years ago are finally doing well. It did not help that we kept uprooting them to do work or plant them in a different location. More colors getting ready to open soon. 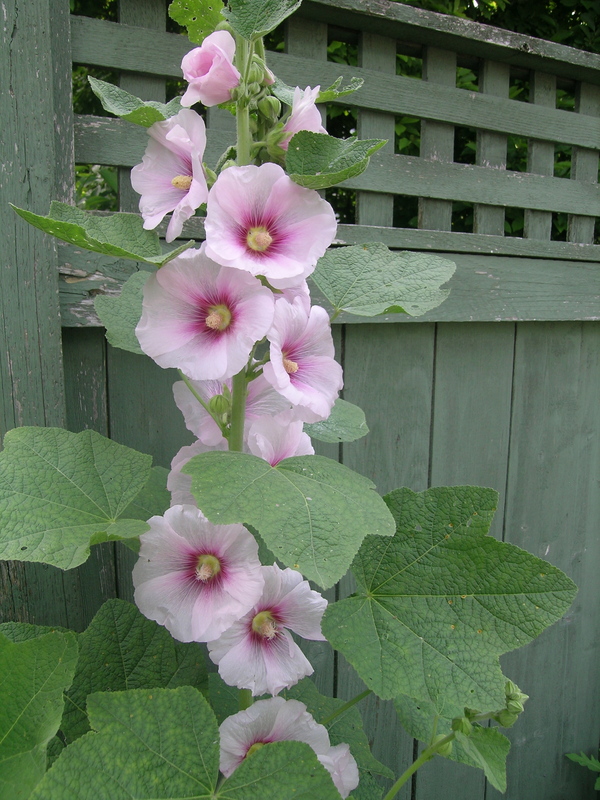 And, my favorite is the Hollyhocks. These are from seeds that I took from my mother’s farm many years ago. 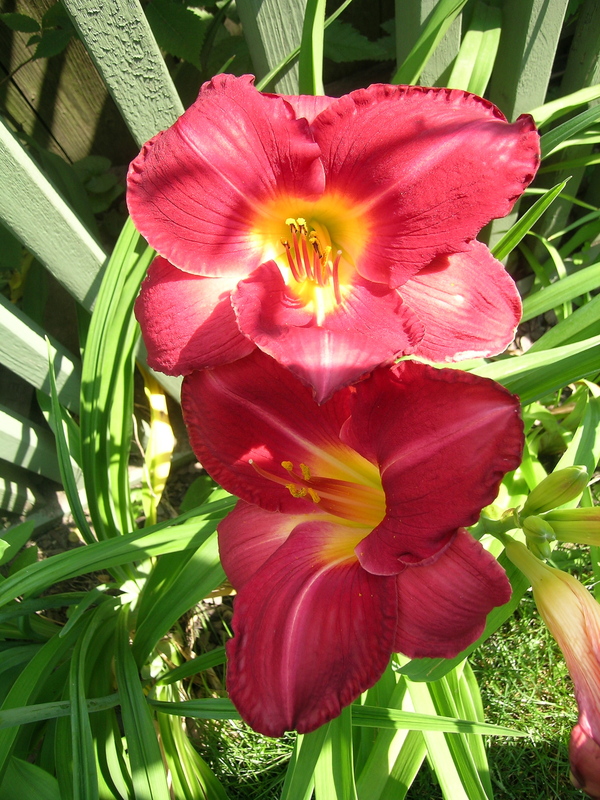 My neighbor has some deep red ones that I am going to add to the mix. These are in the alley area with the raised vegetable beds and large planters with tomatoes. They do well in the rocky soil of what used to be Dan’s parking space. And a peek at the vegetable garden. This is our first year with Swiss Chard, and it is doing very well. I have to find some recipes for this now. And this newly spun skein of yarn looked so perfect on it. I am not real pleased with my spinning on this, I am not sure what happened. 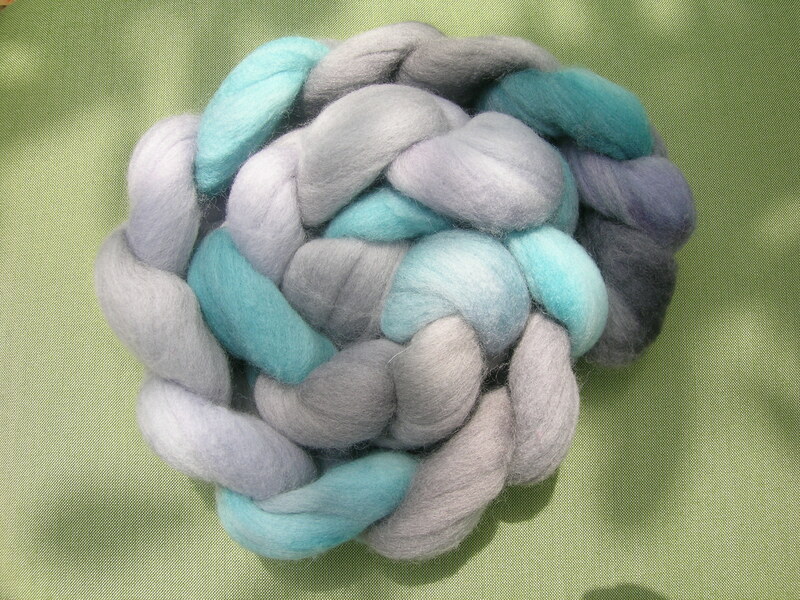 374 yard with 4 oz of Polwarth. I tried to split the skein down the middle and have the colors blending much like the braid (braid photo follows). I think that I turned my second 1/2 skein around, so I do not have the consistency of color that I was aiming for. And, my yardage and spinning is not what I would like. 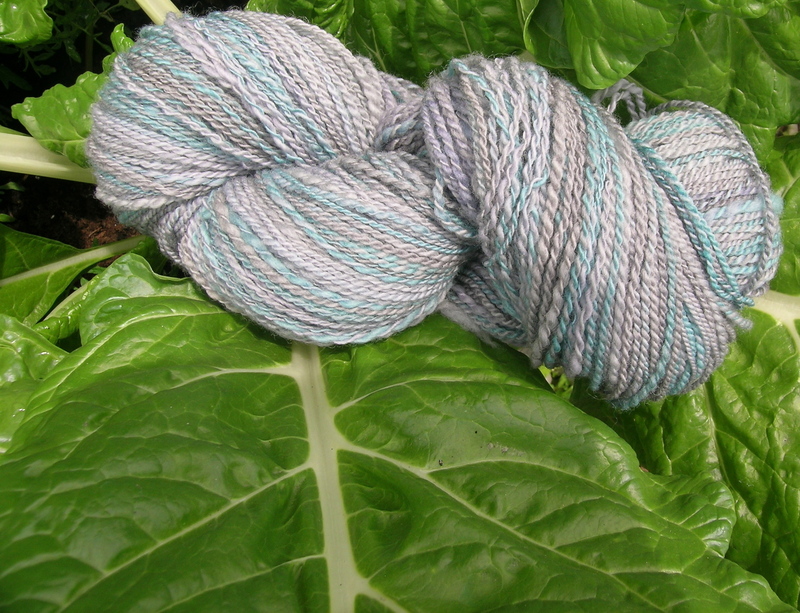 The skein did ply nicely and balance well. However, when I washed it in my 100 year old original enameled sink in the bathroom, the black bled off. It took a bit of scrubbing and setting with baking soda to clean it up. Moral is, wash in a plastic bin or the basement. I absolutely love this color combination of grey with the aqua accent. They play off of each other so well.